When Pulitzer prizewinner David Halberstam used the title “The Best and the Brightest” in his 1972 book on the Vietnam War, he was using it ironically. 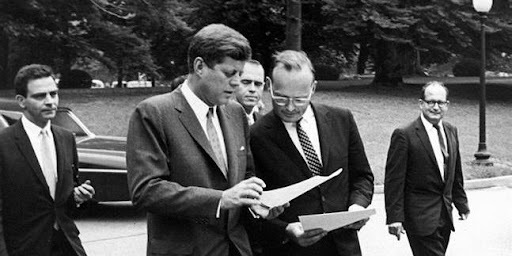 The Kennedy and Johnson administrations had recruited the best and brightest scholars and leaders to Washington, with the thought that these brilliant minds would lead the nation to its greatest heights. In health care policy, the difference between intelligence and wisdom is too often blurred. I was reminded of this when re-reading an open letter, penned by 23 prominent economists, sent to President Obama to insist upon the importance of health reform, and of certain parameters thereof. Many people believe that the academic community should serve as the arbiter of what is a good or a bad idea for health care reform. (This idea is especially popular among academics.) During the Obamacare debate, the President spoke often of how “every single serious idea” on reducing health-care costs was incorporated into the legislation. He was speaking truthfully—if “every single serious idea” is understood only to mean those that are widely accepted by the academic community. There were, and are, a lot of other good ideas that the President ignored: moving to an individual market for health insurance; expanding consumer-driven health care; increasing cost-sharing for government programs. But those ideas, and others with a free-market bent to them, were contrary to the President’s ideological orientation, and their principal exponents were outside of the academic orbit. Academics see themselves as the most disinterested observers of the health care world: or, more precisely, the ones who are most committed to a rational and humane health care system. Analysts from industry, in this view, are corrupted by their economic interests; and analysts from think tanks (especially conservative ones) are hopelessly biased by their ideology. But is the academic world non-ideological? At least 90 percent of health policy academics, if not more, are left-of-center. Populist conservatives like to complain about this, but in fact this phenomenon does a greater disservice to liberals than it does to conservatives, because it diminishes the quality of their work. Group-think. Academics are rewarded for publishing articles in peer-reviewed journals. What this means in practice is that academics are rewarded for gaining the approval and acceptance of other academics: a process that reinforces group-think at the expense of rigorous criticism. Homo academicus. Because the incentives of academics revolve around the approval of others, rather than objective economic failure or success, it is difficult for academics to relate to the health care world as it actually exists: one in which economic incentives drive the behavior of patients, doctors, hospitals, insurers, and product manufacturers. In the economic world, there is such a thing as failure, in a way that is difficult for many tenured professors to fully appreciate. Elitism. If you study the health care system in a lot of depth, it is natural to feel that your views should carry more weight than those of people who haven’t studied the issue as much. It is easy to be pessimistic about the unsophistication of ordinary people, to believe that ordinary people will benefit from the guidance of disinterested experts like yourself, and to dismiss the ideas of those who you perceive to be less expert, and less disinterested, than yourself. Bad data. Ludwig von Mises and Friedrich Hayek observed long ago what has become known as the economic calculation problem: that, in a centrally planned economy, there is no way to gain an independent sense of how the market values various goods and services. As a result, academics are often overconfident of their ability to predict how various reform proposals will play out in the real world. Think tanks. Because of the ideological conformity of the academic world, think tanks provide a useful counterpoint. Indeed, many right-of-center think tanks were explicitly created as a way of providing a home for academically-oriented policy experts who found it difficult to gain acceptance in the left-of-center academic community. In my own policy reading, I find that think tanks are an excellent source of original, non-consensus thinking on health care policy. Industry. The health care industry puts out quite a bit of data, and also a fair amount of policy analysis. However, academics, especially liberal ones, frequently dismiss analyses from industry as corrupt, because they assume that industry is out to advance its economic interests. But whether an analysis advances one’s economic interests is independent of whether or not the analysis is accurate. And not all analyses are driven by greed: for example, CIGNA (a health insurer) can make money regardless of what type of health plans people use, so its analysis of why people choose some plans over others is highly useful, as it takes advantage of the company’s proprietary consumer research. Wall Street. Wall Street analysts produce outstanding research on the health care industry that well exceeds the rigor of most academic studies. This is true for three reasons: (a) Wall Street analysts are incentivized to accurately assess the economic prospects of health care companies in real time, whether good or bad, in a non-ideological fashion; (b) Wall Street has considerable economic resources with which to conduct research that, in the academic world, requires grant applications and bureaucratic approval; (c) analysts gain immediate feedback, in the form of stock prices and company performance, as to whether or not their predictions have proven accurate. Hence, they are able to know when they have made mistakes, and are able to learn from their mistakes. However, the work of Wall Street suffers from two major drawbacks: (a) it is limited to those areas of the health care industry that are relevant to the financial markets; (b) it is distributed to paying clients, and is not generally available to academics or the public. The best research does leak out, however. Industry consultants and professional societies. There are plenty of health care analysts, at places like Deloitte and Ernst & Young, who consult for private companies and provide much of their research to the public for free. Societies like the American Academy of Actuaries do the same (here is an excellent analysis of consumer-driven health care from the AAA). Consultants often get tarred by the left for their industry associations, as PriceWaterhouseCoopers unfairly was for their insurer-sponsored study on the impact of Obamacare on the cost of health insurance. But again, either the analysis is correct, or it’s not. 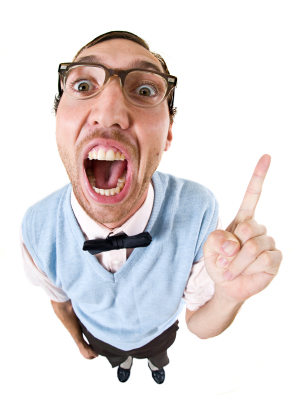 Ad hominem attacks against the authors’ motives don’t advance the debate. All of this is to say that I hope we can improve the quality of the health care debate by focusing less on where health care research comes from, and more on how good that research actually is: is its data accurate? Are its methodologies sound? If we can do more of that, instead of prejudicially dismissing the views of those who come from institutions we suspect, we are bound to learn much from each other. 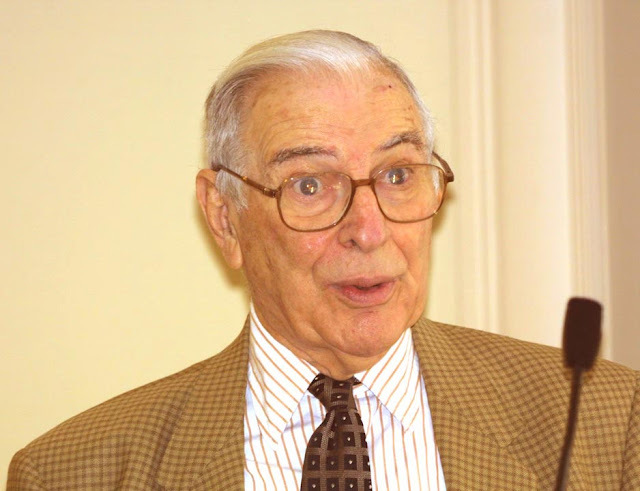 Austin Frakt helpfully points us to several posts by Princeton economist Uwe Reinhardt on the topic of Ken Arrow and his influential paper on health care economics, “Uncertainty and the Welfare Economics of Medical Care,” published in 1963 in the American Economic Review. Arrow’s paper, which endorses the view that “the laissez-faire solution for medicine is intolerable,” is widely considered to have founded the field of health care economics, and continues to be celebrated, especially by those to the left of center. If one were to assemble a New Testament of liberal health care policy, Arrow’s paper would be the Gospel According to Matthew. But what is truly remarkable about the gospel according to Kenneth, from today’s perspective, is its antique unsophistication about modern financial concepts and the modern regulatory state. Arrow’s paper argues that the delivery of health care deviates in fundamental ways from a normal free market, and, therefore, that government intervention is necessary to correct for these deviations. It therefore can’t be considered surprising that modern liberals, who believe that the free market leads to unjust and suboptimal outcomes, celebrate the work of an economist who argues that a free market for health care…leads to unjust and suboptimal outcomes. Unpredictability. Arrow points out that people’s needs for health care are unpredictable, unlike other basic expenses like food and clothing. But while we can skip the occasional meal or sale at Old Navy, our need for health care can be far more urgently necessary. Barriers to entry. Arrow notes that you can’t just set up shop on the side of a road and practice medicine: you must have a license to be a physician, and gaining that license requires years of expensive schooling and training. As a result of this constraint on the supply of physicians, there is a constraint on the supply of medical services. The importance of trust. Trust is a key component of the doctor-patient relationship; if a surgeon makes a serious mistake during an operation, for example, the patient may die or become permanently disabled. The patient must trust that the surgeon knows what he’s doing, and can’t test-drive the surgery beforehand. Asymmetrical information. Doctors usually know far more about medicine than do their patients. Therefore, the consumer of medical services (the patient) is at a serious disadvantage relative to the seller (the doctor). Patients are therefore vulnerable to exploitation. In addition, third-party payors of medical bills, such as insurers or the government, are that much more removed from the particulars of a given case, and unable to effectively supervise medical practice. Idiosyncrasies of payment. Unusually, patients pay for health care after, not before, it is received (that is, if they pay for health care at all). Because patients don’t see the bill until after the non-refundable service has been consumed, and because patients are given little information about price and cost, patients and payors are rarely able to shop around for a medical service based on price and value. Compounding this problem is the fact that patients rarely pay for their care directly. Unpredictably is hardly a remarkable phenomenon. In the half-century since Arrow’s paper came out, a large industry has emerged to address it. Extended warranties, overdraft protection, traveler’s insurance, etc. etc. are all products designed to smooth out the unpredictability of life. Most of these products have managed to function well with minimal government intervention. Barriers to entry remain a problem in medicine, but again, this is a problem that is hardly unfamiliar to anyone who has ever tried to start a car company or an airline. We require licensure of lawyers, but so far as I know, no one is fretting about market distortions in the legal industry. Indeed, our economy is suffused with, and possibly suffocating from, the over-credentialization of everything. It is true that trust is important in medicine. But so, too, is it important in many other commercial transactions. We trust that airline pilots, and airline mechanics, are competent. We trust that the manufacturers of car brakes have thoroughly vetted their products. Markets are capable of assigning value to such things, as are lawsuits. There certainly are asymmetries of information in medicine, but again, is this unique to medicine? How many people, when taking their cars to the shop, are able to argue with the mechanic about the need to repair the transmission? How many of us rely on a financial advisor, because we feel incompetent to make investment decisions entirely on our own? Indeed, nearly every economic transaction involves some asymmetry between the buyer and the seller. The ancient Latin aphorism, “caveat emptor” (let the buyer beware), has been enshrined in property law for centuries as a way of reminding people that sellers know more about the defects of what they are selling than do buyers. Nonetheless, we hold buyers responsible for understanding what they are buying, so long as the sellers haven’t engaged in fraudulent misrepresentation. The internet has done much to democratize medical information. I speak to physicians all the time who say that their patients know more about new drugs than they do. A parent whose child has Lyme disease is likely to know as much, if not more, about available treatments than is your garden-variety family practitioner. That isn’t to say that going to medical school doesn’t matter—but it is to say that there are ways in which the gaps in information are narrowing. Electronic medical records, and on-line postings of medical prices and costs, will do even more. Finally, we get to the most important of Arrow’s concerns: that the way we pay for medical services, especially via third-party health insurance, cannot function as an efficient market. On this point he would get wide agreement. But Arrow’s favored solution—government-sponsored health insurance—makes this problem worse by further removing patients from the price and value of the care they receive. The real solution is to increase the degree to which patients pay directly for non-catastrophic health care, so that health insurance can function as insurance does in other fields: as a way to protect people from catastrophic financial and medical loss. A related, but equally important, reform would be to increase the degree to which patients buy insurance for themselves, as opposed to having it purchased on their behalf by employers or the government. A true individual market for health insurance would help rectify many of the distortions in our current system. Ken Arrow and his disciples in government have done much to exacerbate, rather than correct for, the inefficiencies in our health care system. Obamacare is a prime example of this. One can only hope that we eventually learn from Arrow’s mistakes, and finally move in the right direction. I’ve received a larger-than-usual amount of email and commentary from liberal readers, responding to my earlier thoughts on Atul Gawande’s piece in The New Yorker on end-of-life care. Most of these reflect exasperation regarding the term “death panels,” which they see as dishonest and demagogic (I objected to Gawande’s characterization of conservatives as such). This post is intended to account for the epistemological gulf between liberals and conservatives on the matter of death panels. I apologize in advance for its length, but I hope you will agree that these issues merit detailed consideration. From the conservative point of view, liberals often tend to see an injustice or inequity in the world, pass a law to fix the inequity, and move on to the next problem. Conservatives think of themselves as approaching the same policy problems with pessimism and skepticism, because they are trying to look two moves ahead: what incentives will the new law distort? What new injustices or inequities will be triggered by these reforms? This is not to say that liberals don’t try to think about the long-term consequences of their proposed reforms. They do. But it is to say that conservatives worry much more about this problem—the problem of what laws will be written in the future to address the unanticipated problems of laws written in the present. Liberals tend to be much less concerned about unintended consequences, and are more confident in their abilities to promulgate effective government action. Let me try to explain another way: there is a policy problem A. Activists seek to pass a law, B, to solve injustice / policy problem A. But law B doesn’t completely solve problem A, and creates unanticipated new problems of its own. So a new law is passed, law C, to solve the problems outstanding from problem A, and the new problems caused by B. Unfortunately, law C only partially fixes the outstanding problems of A, and the new problems caused by B, and creates new problems of its own. So, now, there are calls for a new law, D, that will finally solve all the outstanding problems. The above scenario is almost always what happens with complex new legislation, especially when that legislation substantially expands the role of government, in an unprecedented fashion, in what was previously private economic activity. In the case of Medicare, for example, official projections about the long-term costs of the program were off by a factor of 10, and various attempts to solve that problem (e.g. price controls) have created new ones (fraud). When the British National Health Service was founded on July 5, 1948, expectations were sky-high. The NHS, in the words of one official, would be the “envy of the world.” 62 years later, by all objective measures, the NHS is the worst health-care system in the developed world. Costs have exploded. The NHS uses the most aggressive price controls and rationing procedures in the West, going so far as to assign a price to the “quality-adjusted life year” that is required to extend it. And yet, from 1996 to 2008, national health care expenditures in the U.K. have grown at 6.7% a year, compared to 5.5% in the U.S. over the same period. NHS doctors routinely conceal from patients information about innovative new therapies that the NHS doesn’t pay for, so as to not “distress, upset or confuse” them. Terminally ill patients are incorrectly classified as “close to death” so as to allow the withdrawal of expensive life support. NHS expert guidelines on the management of high cholesterol are intentionally out-of-date, putting patients at serious risk, in order to save money. When the government approved an innovative new treatment for elderly blindness, the NHS initially decided to reimburse for the treatment only after patients were already blind in one eye—using the logic that a person blind in one eye can still see, and is therefore not that badly off. While most NHS patients expect to wait five months for a hip operation or knee surgery, leaving them immobile and disabled in the meantime, the actual waiting times are even worse: 11 months for hips and 12 months for knees. One in four Britons with cancer are denied treatment with the latest drugs proven to extend life. Those who seek to pay for such drugs on their own are expelled from the NHS system, for making the government look bad, and are forced to pay for the entirety of their own care for the rest of their lives. The Quality-Adjusted Life Year (QALY) methodology that the British use is precisely oriented at reducing care for the elderly, and steering it to younger patients, for whom effective therapies will lead to a longer, fuller life. For those in their 80s, in Britain, the NHS offers little. Recent studies have shown that Britons have the worst survival rates in the developed world after being diagnosed with a disease, like cancer, or a chronic condition, like heart disease. Britain may have the best tennis courts in the world, but it has a broken health care system. When you’re young and healthy, it’s great. You go to do the doctor (if you can get an appointment), and you don’t have to think of any financial considerations. But if you’re old and unhealthy, watch out. The NHS, for American conservatives, is the paradigm of how state control of the health care system plays out. 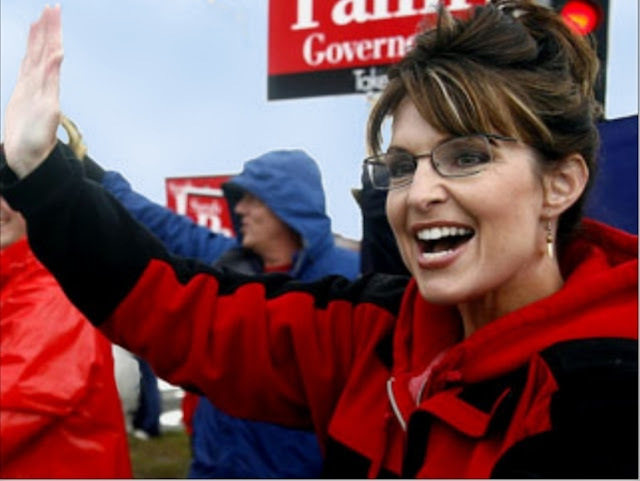 Palin’s logic is irrefutable: once the government is spending the money, the government has an obligation to the taxpayer to use those dollars as efficiently. What does that entail? From the government’s point of view, that involves not wasting money on end-of-life care. So this brings us to the issue of end-of-life counseling. What I think liberals misunderstand about the conservative position is that conservatives don’t object to end-of-life counseling per se. Indeed, as I argued in my previous piece on the subject, end-of-life counseling should long ago have been incorporated into the standard of medical care. What conservatives are objecting to is the involvement of the state in end-of-life counseling. It comes down to this: if the government is funding health care, and simultaneously funding end-of-life counseling, the government has a conflict of interest. The government has a financial incentive to encourage people to “pull the plug on granny,” regardless of whether or not that is consistent with granny’s, or her family’s, wishes. It is, at bottom, the same reason we insist on a free, independent press (and free speech in general): when the government controls the media, it has a conflict of interest; i.e., an incentive to promote journalism that is favorable to the government. My background as a lawyer who once lived as a full-time volunteer in Mother Teresa of Calcutta’s home for people with AIDS had enabled me to develop “Five Wishes.” In less than a decade it had become America’s most popular living will, with over 13 million copies in circulation throughout the country. It seemed like it might be of use to these top VA officials. My first reaction was: How in the world would senior citizens navigate a document that was nearly an inch thick and contained dozens of pages of worksheets? But after I left the meeting and carefully read “Your Life, Your Choices” for the first time, I concluded that the unmanageable size of the document was the least of its defects. Taken as a whole, “Your Life, Your Choices” seemed to subtly steer individuals toward refusing care. Towey cites many more examples. It’s worth reading the whole article. The bottom line is, the American experience with state-sponsored end-of-life counseling is not reassuring. I think the most understandable criticism of my earlier piece was that “time is money;” that if physicians aren’t reimbursed by Medicare for taking the time to discuss end-of-life issues with their patients, those discussions won’t take place. I’d make a couple of points in response: First, this argument ignores the many ways in which end-of-life planning can take place without the involvement of physicians. Again, I refer to Atul Gawande’s citation of the practice in La Crosse, Wisc., of requiring anyone admitted to a hospital, nursing home, or assisted-living facility to fill out an end-of-life planning form. Specialists in end-of-life counseling can spend their time discussing these issues with patients and families, without placing a burden on physicians’ much more expensive time. Second, there’s little reason why an initial discussion of end-of-life issues can’t accompany the physician’s initial interview of the patient (in medical parlance, the “history and physical”). By taking all of these steps, the burden of follow-up conversations requiring the physician’s time are kept to a minimum. Third, the criticism itself calls attention to the key problem: that state funding of health care inevitably leads to calls for state-sponsored end-of-life counseling. So, in 2,400 words, I’ve tried to explain what conservatives mean when they worry about death panels. Whether you agree or disagree with conservatives on the question, I hope we can all agree that these concerns are reasonable, and are not merely the province of frothy lunatics and demagogues. Both liberals and conservatives value of end-of-life counseling. Where we part ways is on the degree to which government involvement in the matter is appropriate. In New Jersey, the new PPACA-designed high-risk pool, intended to provide health coverage to everyone in New Jersey who can’t get insurance due to a preexisting condition, has enrolled two people. Part of the reason is that the PPACA-designed plans aren’t very attractive. As in Canada and Europe, wealthy Americans are starting to use their political connections to gain access to treatments that ordinary people can’t. Under Obamacare, a family of four, with a $93,000 annual income and a parental age of 50, with no employer health coverage, gets a government subsidy of $8,023. The same family with a $94,000 annual income gets a government subsidy of zero. Covering psychiatric illnesses just as other illnesses are covered, as PPACA requires, is likely to drive insurance premiums up by 25 percent or more. In my previous post, I wrote that it would be nice to see liberals come up with constructive alternatives to Paul Ryan’s Road Map for Medicare reform. Fortunately, Austin Frakt has picked up that gauntlet, with six posts over the past three days on his own reform plan. The answer is that health care cost control is tough, technically and politically. Provider groups typically resist it. When it pertains to Medicare, beneficiaries resist it too. By adding another private-sector layer to the program–health insurers–the Advantage program invites a third source of political pressure. Rent-seeking by providers and insurers, as well as the power of the beneficiary constituency, align in their encouragement of higher Advantage payments. Congress, apparently, is willing to yield to that encouragement. In summary, Frakt is arguing that, for insurers, it’s easier to yield, and say “ok, we’ll pay for that benefit,” and pass the costs on in the form of higher premiums, than it is to actually clamp down on costs and get yelled at by politicians. He's right to point this out. But it is also true of government-run Medicare, so it doesn’t really explain why private insurance costs more. Rent-seeking insurers only account for a small fraction of the discrepancy. The real reason that Medicare Advantage costs more is that the private insurers who participate in it are smaller, and less subsidized, than traditional Medicare. The government plan stacks the deck in its own favor. Frakt’s own voucher proposal contains many promising ideas for Medicare reform, but it doesn’t address the problems above. Frakt advocates a pilot program in which competitive bidding is introduced to Medicare. This is an interesting idea, and Rep. Ryan would be well advised to consider it. His other suggestions, such as establishing a minimum benefit package, are within the realm of a reasonable debate. But no pilot program is going to succeed, when traditional, government-run Medicare enjoys such significant structural advantages over the private sector. This is why the Bush-era reforms subsidized the extra 14 percent cost of Medicare Advantage, and why the private-sector Medicare market will wither now that Obamacare has taken those subsidies away. Ugh! This is no way to learn about a program. Can I have some analysis from a source that’s broadly viewed as unbiased please? How about CRS? (I searched, not finding something easily.) How about GAO? (I also looked.) How about the academic literature? (Yep, I checked.) I’m sure I am missing some good documents. Do you know of any? Does Frakt really believe that government and academic research is “unbiased,” whereas think-tank research is not? Research, whatever its origin, is research. Either the data is accurate and the methodology sound, or not. Research from Harvard can be horrible, and research from conservative and liberal think tanks can be thorough. At any rate, as has been pointed out elsewhere, Frakt (and anyone else interested in the subject) would benefit from reading Walton Francis’ 300-page book on Medicare and the FEHBP program, Putting Medicare Consumers in Charge: Lessons from the FEHBP. It’s a through and fair-minded examination of the program. Francis also wrote the Heritage report that Frakt considers biased, but that is manifestly unfair to Francis, who is one of the nation’s leading experts on FEHBP. The fundamental problem in health care is not that we are using too much of one payment mechanism and too little of another. The problem is that the person who benefits from the service is not the same as the person who pays the bill. If health care is nearly free to retirees, don’t be surprised that they use a lot of it. If you want to bring costs down, and encourage retirees to spend their health care dollars wisely, they need to have an actual stake in doing so. That stake comes from sharing more of the costs. I’m a little late in doing so, but I wanted to comment briefly on the two Medicare-related controversies of the past few weeks: the 2010 Medicare Trustees report, and the contretemps between Pauls Krugman and Ryan. Most right-of-center commentary on the Trustees report has focused on the essential dishonesty of the White House’s take: the Administration has taken its Medicare cuts, which were used to claim that PPACA was deficit-neutral, and is now using the same cuts to extend Medicare’s solvency by twelve years. The New York Times editorial on the subject was strikingly unmoored from the clear facts of the case. But the consequences of the Trustees report go far beyond those of political integrity. By pretending that Medicare’s solvency has been extended, when the program is in deep trouble, the Trustees have undermined the case for genuine Medicare reform. Historically, momentum for Medicare reform has been strongest when the program has been close to bankruptcy. This was true, for example, in 1997, when the Trustees projected that the Medicare Part A Trust Fund would be broke by 2001. Congress and President Clinton came together to enact changes that extended the solvency of the program. This time around, the Trustees are arguing that Obamacare magically pushes back Medicare’s bankruptcy to 2029 from 2017. At a time when the baby boomers are starting to retire, dramatically increasing the urgency of Medicare reform, the Trustees are in effect saying “everything’s fine, nothing to see here, folks.” To me, this is the most irresponsible aspect of the Trustees’ behavior. There’s nothing false about the claim that Ryan’s plan would end Medicare as we know it. In fact, it’s unambiguously true…Under Ryan’s plan, senior citizens would be given vouchers that they could use toward private insurance…Ryan should argue that this is a good thing, rather than try to obscure what he’s attempting to do. Vouchers have been a part of Medicare since the establishment of Medicare Part C in 1982—that is to say, for nearly two-thirds of Medicare’s history. Today, one-quarter of Medicare enrollees are enrolled in Medicare Part C. Part C plans are disadvantaged relative to traditional, government-run Medicare plans, and eliminating those disadvantages is a separate problem (see my next post for more on this). But to say that Ryan is “dismantling” or “ending” Medicare is simply not true: indeed, he is trying to restore the program’s solvency, a project to which Paul Krugman has contributed exactly zero. Let’s be honest: these words, “dismantling” and “ending,” are scare words, meant to deceive the elderly into thinking that those meanie Republicans are out to take away their benefits. Ryan’s proposal is designed to affect Medicare for people who are more than ten years away from retirement; that is to say, not one current nor imminent retiree will see a change to his benefits under the Ryan plan. 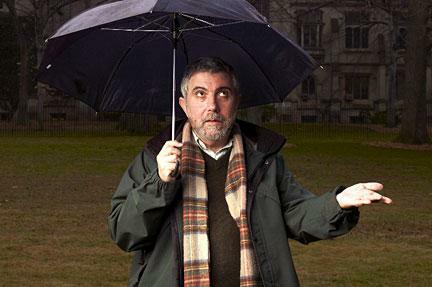 I don’t expect more from Krugman, but Klein has previously been quite fair to Rep. Ryan. I hope that Klein returns to his earlier form, and that he encourages his own side to come up with plans as constructive as the Road Map. Broadening our footprint to cover general politics and culture. It gives me great pleasure to welcome Austin Bramwell to The Apothecary. I’ve known Austin for 14 years, since our time together in the Conservative Party of the Yale Political Union. Austin has written for The Weekly Standard, National Review, First Things, Critical Review, Modern Age, The University Bookman, and other publications. The fiftieth anniversary retrospective on God and Man at Yale that he wrote for Intercollegiate Review is now the preface to the latest edition of William F. Buckley’s famous book. 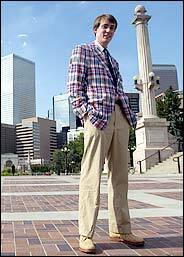 Austin is a frequent contributor to The American Conservative magazine and blogs these days at The League of Ordinary Gentlemen, FrumForum and The American Conservative's group blog, @TAC. Here’s a fun old piece from the New York Times that profiles him and a number of other up-and-coming young conservatives. Austin and I disagree on quite a bit, and the presence of his work here doesn’t mean that I endorse his views (and vice-versa). But what I value about Austin is that he is a provocative, independent thinker. (As you can see from the above photo, he is also a provocative dresser.) Like me, he has a non-political day job—in his case, as a practicing lawyer in New York City—and I think his intellectual temperament reflects that. Austin tends to write about cultural issues; the conservative movement; and general politics. I am going to archive all of Austin’s old material on this website. His articles will be logged in at the date of their original posting. For example, a piece originally posted in October 2008 will appear as such at The Apothecary. To search through Austin’s work, simply click on the “Austin Bramwell” tag on the left-hand column of this page (in the “Articles Sorted by Topic” section). I hope that Bramwell fans everywhere will enjoy being able to find all of his work in one place. This fortnight’s Health Wonk Review, hosted by Joe Paduda of Managed Care Matters, is notable for its sober take on the post-PPACA landscape. Arbitrarily dropped coverage for tens of thousands of enrollees with the stroke of a pen — just to save money. Dropped entire categories of care — such as dental care or home health care — because it decided these services were too costly? Arbitrarily reduced the fees it paid to doctors and hospitals, pushing many out of its network, and leaving its enrollees with serious access to care problems? Probably not. For a private insurer, each of these activities would be a serious violation of contract. There is one insurer that does these things routinely. It’s called Medicaid and about half of all the newly insured people under the PPACA will be enrolling in it. In response, Jonathan Cohn rose up to defend Medicaid: “[Private-sector] rescission is the product of insurers trying to make money at the expense of people in need. Medicaid cuts are the product of society trying to help people in need, but coming up short.” Except that private-sector rescissions are exceedingly rare, compared to the hundreds of thousands of people affected by Medicaid rescissions. Jason Shafrin reviews the burdens that states will face in expanding Medicaid. He concludes: “Who are the winners? The poor and near-poor who receive additional coverage. Who are the losers? Providers who must accept lower payment for Medicaid and the rich who must pay higher taxes to cover these individuals.” Except that the rich includes the middle class, and that it’s not obvious that Medicaid really helps people. Jaan Sidorov of the Disease Management Care Blog thinks that attempting to repeal Obamacare, given that President Obama will veto any such attempt, is a “waste of political energy” and refuses to “vote for any candidate spouting [such] silly rhetoric.” He thinks Republicans should focus on underfunding key elements of PPACA, such as the hiring of new IRS agents, and introducing better reforms. Maggie Mahar is “convinced” that conservatives will fail in repealing PPACA, and rebukes liberals who believe that repeal is a good thing, because it would hasten the advent of a true single-payer system. Advocates of health insurance price controls have taken to criticizing the reserves accumulated by private insurers. When insurance companies take in more premiums than they spend on health expenses and administrative costs, they often keep the difference in a bank account, in “reserve,” so as to ensure that they can remain solvent in bad times. Price-control advocates have been arguing that these reserves are excessive, and that state governments should force insurers to draw down on their reserves by charging lower premiums. Mike Feehan of InsureBlog responds to one such argument, from Consumers’ Union on not-for-profit Blue Cross and Blue Shield plans. Joanne Kenen of the New Health Dialogue writes insightfully about the difficulties in managing end-of-life care in the emergency room. The Wall Street Journal opinion section, edited by Paul Gigot, is a tremendous resource. For economically sophisticated commentary on every area of public policy, one can hardly do better. Throughout the Obamacare debate, the Journal was particularly strong on health care policy, calling attention to PPACA’s deficiencies as well as to ideas for genuine reform. Once in a blue moon, however, the Journal strikes a false chord, and such was the case with its recent editorial entitled “The Avastin Mugging.” The subject of the editorial is the recent recommendation, by an external advisory committee of the Food and Drug Administration, to revoke approval of Avastin, a biotech cancer drug, for advanced breast cancer. The panel’s new recommendation came on the heels of new data showing that Avastin did not extend the survival of patients with advanced breast cancer. (In cancer trials, the length of a patient’s life on a given treatment is the accepted gold standard for measuring a treatment’s effectiveness.) 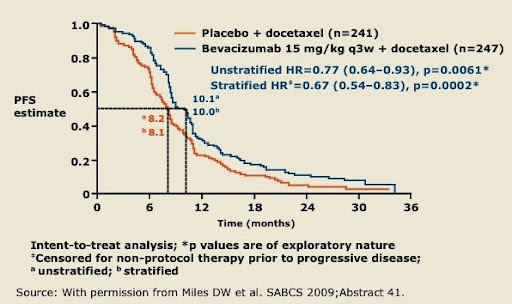 In the Avastin trial, called AVADO, patients treated with placebo and Taxotere, another cancer drug, lived for 31.9 months on average; whereas patients treated with Avastin and Taxotere lived for 30.8 months at a low Avastin dose and 30.2 months at a high Avastin dose. Understandably, the FDA’s advisory committee saw this data as evidence that Avastin didn’t offer a real benefit to breast cancer patients. If there’s an American precedent for the medical central planning of ObamaCare, it’s the Food and Drug Administration. Witness a looming FDA ruling that may deplete the drug arsenal for terminally ill cancer patients. The FDA has many problems, and I have written about many of them: but to call the agency a “precedent for central planning” is unfair. Every developed country, from the most market-oriented to the most socialized, has a government agency charged with approving new drugs for sale. I realize that hard-core libertarians believe that the FDA’s role could be adequately assumed by privately-sponsored third parties, but it is unfair to say that a free market for pharmaceuticals cannot coexist with a FDA-like regulatory agency. It is also inaccurate to say that action by the FDA would “deplete the drug arsenal” for cancer patients. Avastin is approved for other diseases besides breast cancer. This is an important detail, despite the Journal’s assertions to the contrary. In the U.S., as in most countries, if a drug is approved for one disease, it can be prescribed by doctors for any purpose whatsoever: lung cancer, breast cancer, headaches, facial rashes, etc. Hence, if the FDA revokes Avastin’s approval for breast cancer, physicians are still free to use the drug for that purpose. No one’s arsenal has been depleted. So here we have government-anointed medical patriarchs substituting their own subjective view of Avastin’s risks and costs for the value that doctors and patients recognize. If Avastin is rescinded, thousands of dying women will lose more than proverbial false hope in the time they have left. They will lose a genuinely useful medicine. This, again, is an unfair argument. The people who pay for medicines have a responsibility to ensure that they are spending money on treatments that actually work. We can argue that these decisions are best devolved to individuals rather than governments: but it is irresponsible to claim that these decisions should never be made at all. And to say that “medical patriarchs” are imposing their “subjective view” is a bit rough. Overall survival, whatever its faults, is pretty objective: either the patient lived, or the patient died. There is no room for subjectivity in survival analyses, which is precisely why overall survival is the gold standard in clinical trials. Ironically, is the Journal that is arguing for a somewhat more subjective standard: that Avastin is “genuinely useful” because it showed an improvement in “progression-free survival.” PFS is a commonly used test that asks not only if patients lived, but also if their tumors enlarged while under treatment, or if their disease worsened in some other way. Here, Avastin performed better: median PFS for the placebo group in the AVADO trial was 8.1 months, compared to 9.0 months for low-dose Avastin and 10.0 months for high-dose Avastin. Some clinical trial experts believe that PFS is a more useful measurement than overall survival (OS), because the overall survival data can be influenced by treatments a patient gets after she has progressed on the tested therapy (in this case, Avastin). For example, a patient who received placebo and Taxotere in the AVADO trial, and later progressed, could have gotten Avastin as a second-line treatment; whereas patients receiving Avastin and Taxotere in the trial wouldn’t get Avastin a second time. But such an explanation, at this point, is hypothetical. It doesn’t take into account the meaningful side effects that Avastin can cause. And we can’t forget that one of Avastin’s principal side effects is financial: a year’s worth of the drug costs between $80,000 and $100,000. The Journal, in criticizing the FDA, has misdirected its fire. The real problem is this: if the government is responsible for paying for our health care, the government is entitled, if not obligated, to decide how to spend its money most effectively. If we don’t want the government to be making these decisions for us, then we need to pay for our own medicines. We can’t have it both ways. The dangers of working from a small hotel desk. On the opening leg of a 18-day trip through eastern Europe, I spilled a glass of water on my laptop. So, my posts will be intermittent until I get back (or the laptop dries out). The iPhone won't suffice for heavy-duty work. I'll do my best! 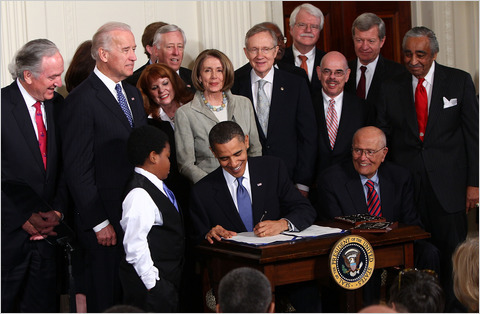 Health Wonk Review Review: PPACA 2.0, 3.0, and 4.0? Health-care bloggers spent this edition of Health Wonk Review delving into a number of the issues that PPACA attempted to address, along with the new problems it has created. The blogosphere has its work cut out. Jaan Sidorov of the Disease Management Care Blog hosted this fortnight’s HWR. Jaan’s work is worth checking out, if you’re interested in delving into the weeds of health policy research. He has a nice piece out this week on correcting the misleading record on the relationship between illnesses and bankruptcies. Maggie Mahar, in part 2 of her rebuttal to Michael Tanner’s lengthy critique of Obamacare, takes on the individual mandate. She cites a paper by a third-year Seton Hall law student that argues that the Uniform Militia Act of 1792, enacted under President Washington, serves as precedent for the mandate. That law “made militia service compulsory for every white, able-bodied male citizen between 18 and 45.” Bradley Latino, the Seton Hall scholar, argues that the 1792 act is “indistinguishable” from the Obamacare individual mandate in terms of the Fifth Amendment. However, as Latino points out later in his blog post, there may be other constitutional issues for which this defense won’t suffice. But that’s no matter to Mahar: “I would argue that leaving 32 million Americans uninsured ‘threatens’ our economy and our society, just as surely as an attack from abroad.” It’s a good thing that Mahar’s comparison is currently imaginary. So far, I’ve been disappointed in Mahar’s response to the Cato paper. Her arguments haven’t lived up to her abilities, and she hasn’t covered the most substantive topics. Hopefully she’ll get there. Our old friend Austin Frakt at the Incidental Economist has reposted his piece defending the individual mandate in Massachusetts. “The mandate is working,” says Frakt. “The results seen in the state imply that little gaming should be expected nationally.” Michael Cannon wrote two excellent pieces on this topic, in rebuttal, last month. In particular, Cannon challenges the statistic that only 2.6% of Massachusetts residents are now uninsured. Cannon cites a separate study, that he coauthored, that show that at least another 2.5% of state residents appear to be concealing their lack of insurance so as to avoid the fine, doubling the number of uninsured. As the 2.6% number assumes that nobody is gaming the system by hiding their lack of insurance, claiming that 97.3% of state residents are insured is at best “an upper-bound estimate.” I would love to see Austin take a look at the Yelowitz/Cannon paper and share his thoughts. Timothy Jost points out in the Health Affairs Blog what readers of this blog already know: that the temporary high-risk pools set up by PPACA are significantly underfunded and, in that sense, doomed to fail. Julie Ferguson of Workers’ Comp Insider writes that, given that insurers pay for employees’ health costs in our odd system, employers are incentivized to discriminate against hiring the unhealthy—and indeed it could be argued that they have a responsibility to their existing stakeholders to do so. She also points out that this is yet another reason that more and more insurers will eat the federal fine and dump their employee insurance plans into the new, subsidized exchanges. An anonymous Canadian pre-med who edits the Notwithstanding Blog writes about a New York Times op-ed about the decline in pediatric subspecialists. He wonders whether this is being caused by the expansion of Medicaid and S-CHIP into this population, given that Medicaid and S-CHIP drastically underpay physicians. Dean Schraufnagel, president of the American Thoracic Society, confirms his suspicion. Richard Fogoros (a.k.a. “Dr. Rich”) of the excellent Covert Rationing Blog, has penned a four part series on “Why Big Health Insurance Supported Obamacare,” including audio podcasts. He points out that insurers will become heavily subsidized by all the new customers that Obamacare forces up on them. He notes that, as that system breaks down, insurers are likely to be either abolished or regulated as utilities (more than they already are). The always-excellent John Goodman points out that the vast majority of innovation in health-care delivery in the United States is taking place in the most free-market portion of the population: those who pay out of pocket for their health care. Walk-in clinics, telephone and e-mail consultations, mail-order pharmaceuticals, Wal-mart’s $4-a-month price for generic drugs, and concierge doctors are all coming out of the out-of-pocket system. Procedures that are not reimbursed by insurance, such as LASIK and cosmetic surgery, have enjoyed improved technology and lower prices for the same reason. David Williams of the Health Business Blog discusses walk-in clinics in more detail, in the context of the reported decrease in doctor visits and the corresponding big jump in “MinuteClinic” volumes – those clinics you’ve seen at pharmacies like CVS to take care of minor issues and checkups. “It’s hard to get people out of their established…relationship with their own doctor,” Williams points out, but over time these things are changing, because wait times for appointments are increasing, and co-pays and deductibles are going up. To me, this is an interesting development, one that echoes comments by Kaiser Family Foundation President Drew Altman, that conservatives are “winning” because the cost-saving measures they seek are being adopted out of necessity, rather than choice, as the cost of traditional health insurance continues to increase. Roy Poses, at Health Care Renewal, points out that the CEOs of non-profit hospitals make beacoup d’argent. Those who are ideologically opposed to for-profit institutions should be aware that non-profits know how to make money too: the only difference is that they put those profits in their bank accounts instead of distributing them to their shareholders. Ryan’s proposal is an admission of the reality. And so now we get to have a conversation. How would you prefer to see growth slowed? Medicare becomes a private program and you have to buy your own private insurance with checks that pay for less and less? Or Medicare puts you and 40 million of your closest demographic friends into a big pool and goes to the medical industry and says that if they want access to these millions and millions of customers, this is how much they can charge? From 1969 to 2008, the average annual growth in the Consumer Price Index was 4.3%; overall U.S. health spending increased 9.7% per year over the same period. But Medicare? From 1969 to 2008, Medicare grew at an average annual rate of 11.5%. (For those who prefer more recent history, the numbers are 2.8%, 7.0%, and 8.5%, respectively, from 1999 to 2008.) That growth rate is likely to increase as the Baby Boomers start to retire. And there is simply no way for the United States to survive with a Medicare system that is growing at three times the rate of inflation. Klein breaks down the philosophical difference quite well. Liberals believe that imposing price controls is the way to bring down costs. Unfortunately, price controls have been tried over and over again in the Medicare system, with no long-term effect on Medicare expenditures. This is because doctors and patients will always find ways to outwit the system, and regulators are left playing a game of price-control whack-a-mole, in which Washington will always be a few years behind the curve. Price controls, in a system where health care is “free” at the point of care, give patients and doctors no incentive to think about value: is it worth spending $100,000 on this high-tech cancer treatment that may extend your life by four months? The British approach is to say no one can have that treatment, because it’s too expensive. The free-market approach is to incentivize companies to set lower prices for their products, so that they will be widely adopted, and to assign higher value to those products that patients find to be genuinely life-enhancing while assigning lower value to incremental advances. Another side effect of price controls is the destruction of the American pharmaceutical, biotechnology, and medical technology industries, which employ more people than do Detroit’s Big Three, and do much more for our economy and our quality of life. The alternative approach, advocated by Paul Ryan, is to let patients buy their own insurance for themselves, instead of getting it from their employers or the government. This way, they can shop for value, and weed out wasteful or needlessly expensive plans. The market-based system incentivizes individuals to act responsibly, which generates enormous savings in aggregate. This is how it’s done in Switzerland, whose government spends only 2.7% of GDP on health care, compared to our government’s 7.4%. Switzerland has universal coverage, with graduated subsidies for those in need, and arguably the highest-quality health care system in the world. The Swiss have achieved every goal that liberals seek from a health-care system, excepting those for whom abolition of the private sector is also an important objective. Could it be that, just as in foreign affairs, Switzerland is a place for common ground in health care policy? I’m a great admirer of the thoughtful, literary style of Atul Gawande. He writes sincerely and movingly about the trials and tribulations of modern medicine. It’s when he tries to extrapolate public-policy recommendations from these stories that he falls flat, kind of like a Steinway piano whose middle C is badly out of tune. His most recent article, titled “Letting Go” and published in the August 2 issue of The New Yorker, is exemplary of his work. In the article, Gawande tells the stories of several patients, young and old, who are dying — typically of cancer — and how doctors, nurses, patients, and their families struggle with the challenge of facing death. The subject seems to reach national awareness mainly as a question of who should “win” when the expensive decisions are made: the insurers and the taxpayers footing the bill or the patient battling for his or her life. Budget hawks urge us to face the fact that we can’t afford everything. Demagogues shout about rationing and death panels. Market purists blame the existence of insurance: if patients and families paid the bills themselves, those expensive therapies would all come down in price. But they’re debating the wrong question. The failure of our system of medical care for people facing the end of their life runs much deeper. By “deeper,” Gawande means that patients and their caregivers aren’t trained to face death; instead they’re trained to fight on, adding more and more treatments, even if many of those treatments are futile. Of course, these problems are rare in other parts of the world. In Britain’s National Health Service, for example, terminally ill patients are incorrectly classified as “close to death” so as to allow the withdrawal of expensive life support. But there is something to be said for dying with dignity and for making considered decisions about how much medical intervention is enough. What Gawande doesn’t get — what he calls “demagoguery” — is the understandable fear that Americans have that, in a state-run system, those decisions won’t be theirs. We only have to look across the pond to see how that could play out. Gawande believes, as we all do, that the practice of medicine would benefit from patients’ thinking ahead about end-of-life care. He cites the example of La Crosse, Wisc., where, since 1991, anyone admitted to a hospital, nursing home, or assisted-living facility has been required to fill out a form asking: “Do you want to be resuscitated if your heart stops? Do you want aggressive treatments such as intubation and mechanical ventilation? Do you want antibiotics? Do you want tube or intravenous feeding if you can’t eat on your own?” Gawande notes that the mere act of asking patients to think about these questions in advance led to more humane, and more effective, treatment later on. It’s a good idea, one that other hospitals could learn from. But to Gawande, it’s not enough that other hospitals adopt such procedures on their own. A provision in Obamacare was to provide government funding for doctors to have end-of-life discussions with their patients; to Gawande’s dismay, “it was deemed funding for ‘death panels’ and stripped out of the legislation.” The obvious question doesn’t seem to occur to him: Why do we need a government program to pay doctors to have thoughtful conversations about their patients’ eschatological desires — something they should be doing already, and that doesn’t cost a dime? Amazingly enough, there are ways to improve the quality of end-of-life care in America that don’t involve a government program. Gawande knows this, for he writes compellingly and often about the successes of people like the doctors in La Crosse. But it is a constant struggle for Gawande to see what is in front of his nose: that such improvements come not from Olympian government officials, throwing lengthy pronouncements down from D.C. office buildings, but from the accumulation of thousands of small innovations by individual doctors, nurses, and administrators. One of the great slanders of the last year was that conservative opposition to Obamacare’s end-of-life provisions was demagogic and dishonest. It is true that we often try too hard to extend life at times when it is futile to do so. It is true that, thanks to unwise government policy, we often expect care we don’t need, because we are insulated from its price. There are legislative reforms that can help address these problems. But they involve reducing, not expanding, government control of the health-care system. They involve letting patients decide for themselves, with the aid of their doctors and their families, how best to negotiate their last days on earth. If a free country can’t be about that, it can’t be about much. 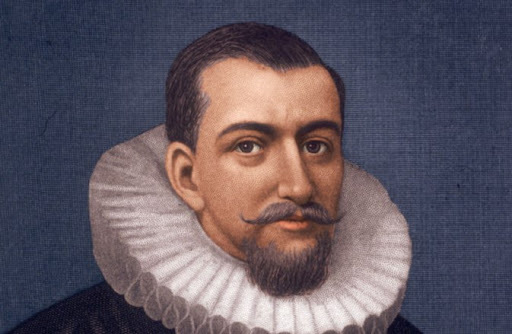 As has been reported widely, U.S. District Court Judge Henry Hudson (no, not that one) rejected arguments that Virginia had no standing to sue the government over the individual mandate. A full hearing will take place in Richmond in October. Although states are generally not allowed standing to litigate the interests of their citizens, Hudson argues that Virginia has standing because the federal health care bill conflicts with a recently enacted Virginia state law, the Health Care Freedom Act. This, he argues, is enough to give Virginia standing, overcoming the sorts of federal government standing arguments that I discussed in this post. This argument may have negative implications for the other major lawsuit against Obamacare, filed by 20 states and the National Federation of Independent Business. Most of those states do not have state laws comparable to the Health Care Freedom Act. NFIB, however, has individual members who are subject to it, such as self-employed businessmen. Hudson agrees with co-blogger Randy Barnett that the individual mandate isn’t clearly covered by existing Supreme Court precedent under either the Commerce Clause or federal government’s power to tax. He argues that this provision “literally forges new ground and extends Commerce Clause powers beyond its current high watermark.” He takes the same view of the government’s Tax Clause argument. Essentially, from day one, politicos like Nancy Pelosi and numerous law professors have been saying about the constitutional challenge to the individual mandate: “Nothing to see here folks, move along.” Today Judge Henry Hudson ruled, “there is something to see here folks, let’s stop and evaluate carefully.” That is a big step… While today’s ruling by Judge Hudson did not decide the case on the merits, it did make at least one official ruling of importance: the constitutional objections to the individual mandate are serious and not frivolous. This is the first shot in what will be a long battle. As I have commented before, even if the individual mandate is overturned, it is likely that the courts will rule to preserve the remainder of PPACA. This is strongly implied by the Supreme Court’s June ruling on the Sarbanes-Oxley Act, in which one provision of the law was struck down, while the rest was preserved. Still, it is encouraging to see that some jurists still believe that there remain limits on the power of the federal government.